Come see us at our NEW Green Hills location! Come visit us at our Mt Juliet location! Welcome to Ducklo Eye Group in Mt Juliet and Green Hills. James L Ducklo, OD. and Associates and the Ducklo Eye Group team strive to provide the finest in optometry services by offering an all digital exam, The CLARFYE Exam. We invite you to browse our website to learn more about our optometry services, and invite you to join our patient family by scheduling an eye exam appointment at our Mt Juliet or Green Hills office. Ducklo Eye Group is a full service eye and vision care provider and will take both eye emergencies as well as scheduled appointments. Patients throughout the Mt Juliet and Nashville area come to Ducklo Eye Group because they know they will receive the personal attention and professional care that is our foundation. James L Ducklo, OD. and Associates and our team are dedicated to keeping our patients comfortable and well-informed at all times. At Ducklo Eye Group, we will explain every exam and procedure and answer all of our patient's questions. 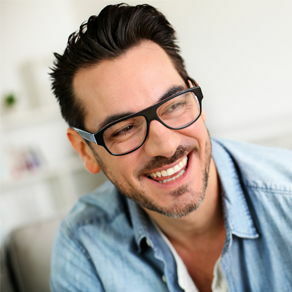 Additionally, at Ducklo Eye Group, we work with most vision insurance providers and medical insurance policies to ensure good eye health and vision care for all of our patients. Our one-on-one approach to optometry makes James L Ducklo, OD. and Associates and their staff the eye and vision care providers of choice in the Mt Juliet and Nashville area. 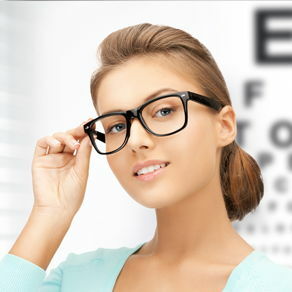 Our Mt Juliet and Green Hills optometrists offers the following services: complete eye exams, contact lenses, glasses, glaucoma testing, and pre- and post-operative care. For a complete list of services, visit our services page or call our Mt Juliet office at 615-758-0874 or our Green Hills location at 615-269-3500. At Ducklo Eye Group, we are dedicated to providing high-quality optometry services in a comfortable environment. Call us at Mt. Juliet 615-758-0874, Green Hills 615-269-3500 or schedule an appointment today online. James L. Ducklo, O.D., Lavanya Tammareddi, O.D., Nathalie C. Nguyen, O.D., and Monique A. Emmons, O.D. James L. Ducklo, O.D., Nathalie C. Nguyen, O.D., and Monique A. Emmons, O.D. Dr. James L. Ducklo is a native of Nashville, Tennessee. He attended Belmont Abby College in North Carolina where he completed his undergraduate degree in 1983 with a Bachelor of Science in Chemistry. He received his Doctor of Optometry degree from Southern College Optometry 1989. Dr. Ducklo has been a lease holding provider with LensCrafters since 2004. Dr. Lavanya Tammareddi was born in India. Grew up in Chicago and moved to Tennesee. She attended University of Tennssee in Knoxville and completed her undergraduate degree in 1999 with a Bachelor of Art in Psychology . She received her Doctor of Optometry degree from Nova Southeastern University College of Optometry in 2005. Dr. Tammareddi joined our practice in 2006 and has been an essential part of team. "They make me feel very comfortable. They have answered any questions I have had regarding my eye care or insurance."